Hello everyone! It’s Maria here with you today and I will be showcasing a lot of items from Kat Scrappiness. 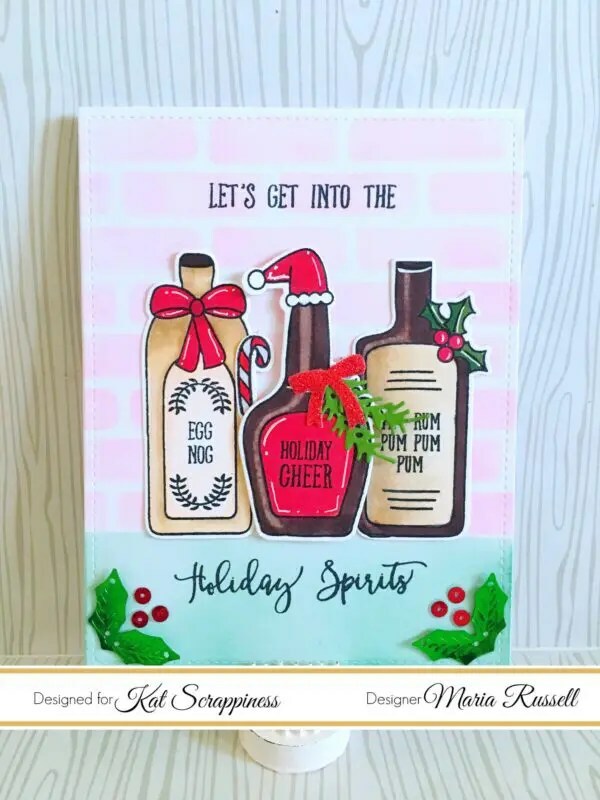 For my card, I have used the Avery Elle Holiday Spirits stamp set and Holiday Spirits Dies, with DCAM 8×8 Bricked Wall Stencil and Deck the Halls sequin Mix. The process video below will not show any Copic coloring because I wanted to keep the video as short as possible. You will, however, see how I stenciled the background and assembled the card. I hope you found the video helpful and got inspired today. The supplies I have used are listed and linked below. Happy holidays!